Snow Maiden's Palace is the home of the Russian fairy tale character Snegurochka. It is located a few hours northeast of Moscow in the town of Kostroma on Russia's famous Ring Road. Though the story varies, the Snow Maiden is usually depicted as a daughter, granddaughter, or helper of Father Christmas or Father Frost. The palace in Kostroma is a place where visitors can learn about the Russian folklore in a fantastical setting. It is a fun place for children to explore, hold birthday parties, and make all sorts of crafts including dolls and holiday decorations. 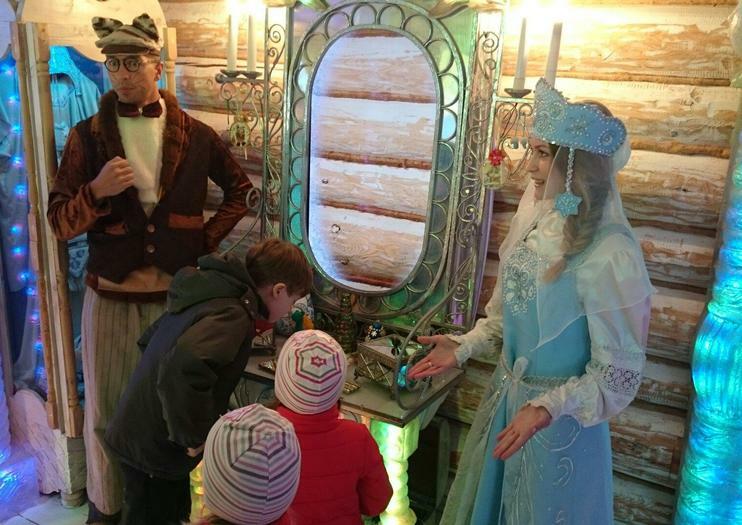 Children will believe in magic at the Snow Maiden's Palace. Several different rooms and programs bring them into the fairy tale world with games and holiday traditions throughout the year. Visitors can also learn about traditional Russian dances and other aspects of Russian culture, and it is an entertaining place for adults as well as kids. Snow Maiden's Palace is located at St. Simanovskiy, 11 in Kostroma, Russia. Opening hours are 10am to 6pm. Prices vary depending on selected programs.